We can't help it, we are just in the sharing mood. 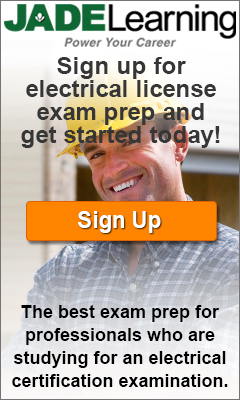 Here are 8 more articles you must highlight in your National Electrical Code book for your electrical exam. If you missed our previous post with 18 Articles to highlight now, here is the link. 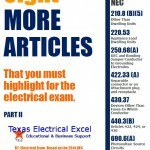 If you missed the other post titled "12 More Articles to Highlight" click here now. Tell your friends we are cool and you love us…share this page with them all. 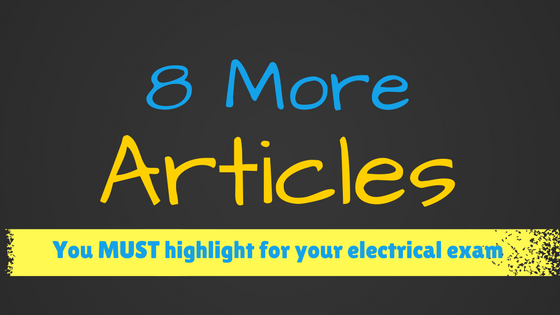 Download your free pdf here for the 8 articles to highlight in your book today.